Britain votes to leave the EU: After the Brexit, what now? Britain votes to leave the EU - What next after the Brexit? So Britain has voted, the Leave campaign has been successful and the Brexit is a reality. Britain votes to leave the EU and we’re left to wonder what’s next after the Brexit? It’s caused a furore everywhere. Friends are fighting, colleagues are disagreeing with each other and those that hoped Friday’s result may bring an end to the bickering from each side will be left sorely disappointed. The Leave campaign have been loudly celebrating, and so they should. But both sides come out of this campaign poorly. From start to finish it was a campaign filled with lies, mistruths and pure speculation. I strongly believe that staying in Europe was best for us, and the result has left me shocked and disappointed. The same way that almost half of the country will feel, such was the closeness of the result. Within hours of the result announcement, the Prime Minister had resigned, the value of the pound fell and the share price of UK companies tumbled. The initial indication was that the UK was in for a horrific time, though nobody seemed too quick to point out that - in the case of the FTSE, the UK stock market - there had been a very strong belief that the Brexit vote would keep Britain in the EU, and that Thursday’s trading reflected this. For me, the massive drop on Friday morning was part panic and mostly the market correcting itself from the previous night. The stock market weren’t the only ones with a strong belief that the status quo would remain. Bookmakers on the day of the referendum had massive odds for the leave campaign. As we start the weekend, there seems to be a lot of bravado from Leave supporters, chastising those who predicted mayhem at the start of Friday morning. The market, they say, has pretty much recovered, finishing just 3.15% down on where it started. 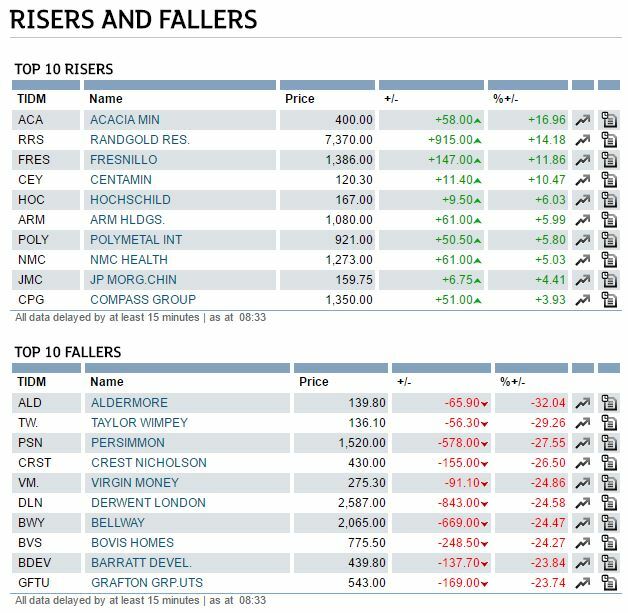 As I cast my eye across my own financial horizon, the company I worked for (which operates in the property and financial sector) fell 20% in one day. 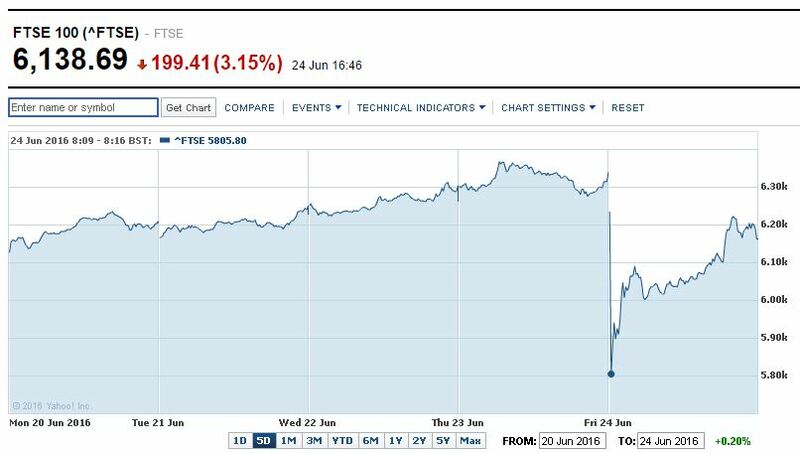 My beloved Costa, owned by Whitbread, fell by 9% overall, though fell more than that on opening before rallying. Looking further afield, GlaxoSmithKline and Compass Group both grew by nearly 4% but it was property-related businesses that suffered most. So what does it all mean for the UK? The truth is that nobody knows. Article 50 - which needs to be activated for us to start the leave process - hasn’t been started. My (uneducated) guess is that it will happen when we have a new Prime Minister in place. Personally, I am taking a pragmatic approach. The vote hasn’t gone the way that I wanted, but it was a democratic vote, and I am always banging the drum for democracy. 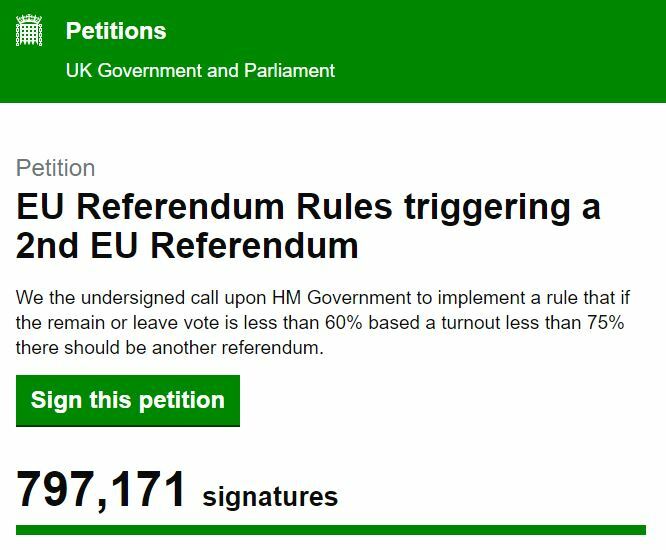 I’m not a big fan of the petition that’s been started to hold a second referendum as it feels like sour grapes from the losing side. In my eyes, there is no decent reason to hold another vote. Instead, I feel that we should buckle down and get on with it. The situation is now out of the hands of the electorate and back in the hands of politicians. The ramifications of leaving the EU will be huge, but they would have been huge had we stayed. It may take months or years (and hopefully not decades) to get back on track and where we want to be, but the country will continue to function. In the short-term, I shall embrace my Britishness and will merely tut at those I feel have let us down and reflect silently with a nice cup of tea. The FT100 fell 3% on Friday, but that is more International. The FT250 has a lot more UK companies in it. That fell 7%. The whole thing is a complete mess! William Gould is correct that you should look at the FTSE 250 to better gauge the impact on Britain. I saw a story today that some airports were trading GBP/Euros at 1:1. Incredible!